Each pre-measured power-caps detergent capsule combines pro-lift stain removers plus a brightness formula for a powerful cleaning combination. 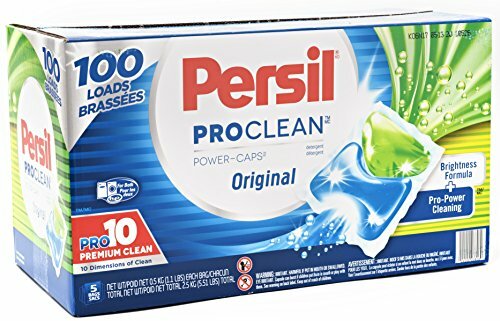 Persil power-caps are formulated to dissolve in all water temperatures and for use with whites or colors. Simplify your laundry routine with easy-to-use power-caps for a premium clean.